It’s a new year and we are starting it off by enjoying the last bit of football season. With so many big games happening this time of year, I feel like we are constantly having people over for watching parties. 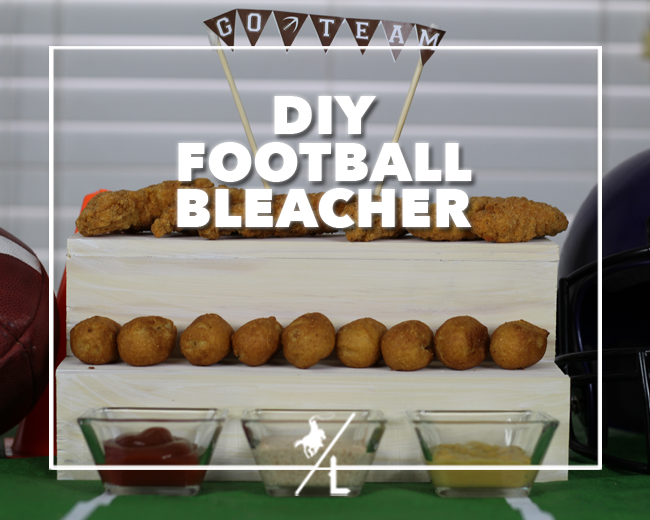 To make entertaining for football games a little more festive, I made this DIY Football Bleacher food stand to hold some of the snacks. Place two pieces of wood together to make an L shape. Add a line of wood glue along one side of the wood. Press it against the other piece of wood and let dry. Repeat this process with other 2 piece of wood. 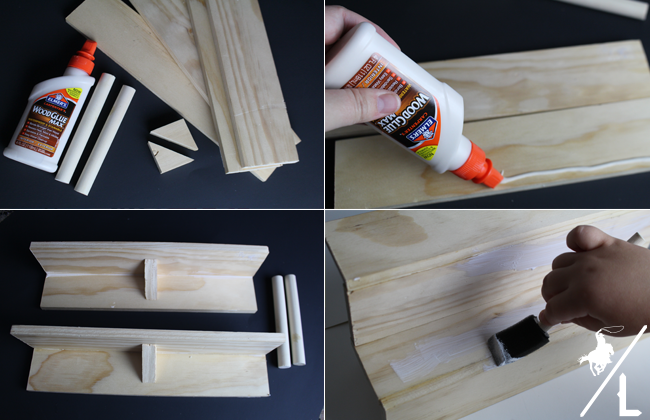 Take the 2 L shapes and add wood glue along one side and arrange them so that you have 2 stairs. Once stairs are set, turn upside down. Glue 1 one triangle wedge to the back of each L shape for support. Glue on a dowel rod to each end of the bleacher to use as support beams. Turn back over and glue on roasting sticks, cut out this banner and tape to sticks. Give the bleachers a couple of coats of white paint. 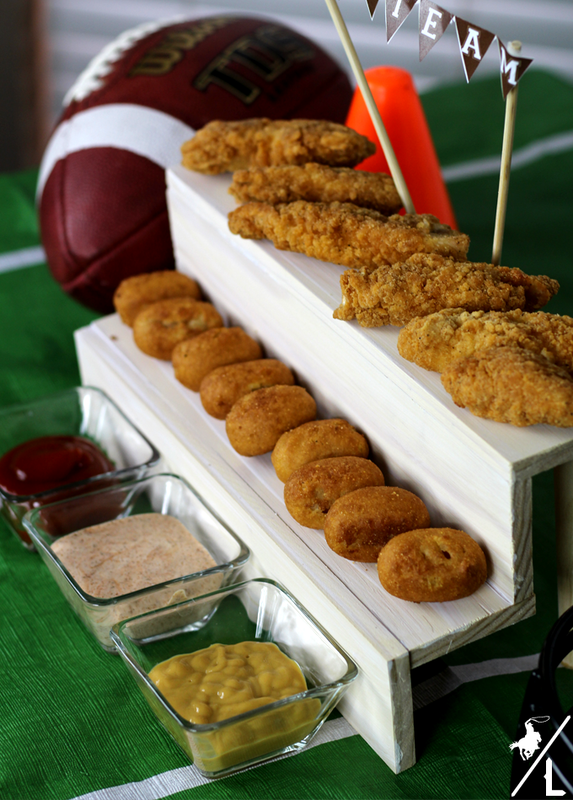 Once dry, you are ready to set up for your football party! These bleachers are a fun way to decorate your table and show off the food you prepared. 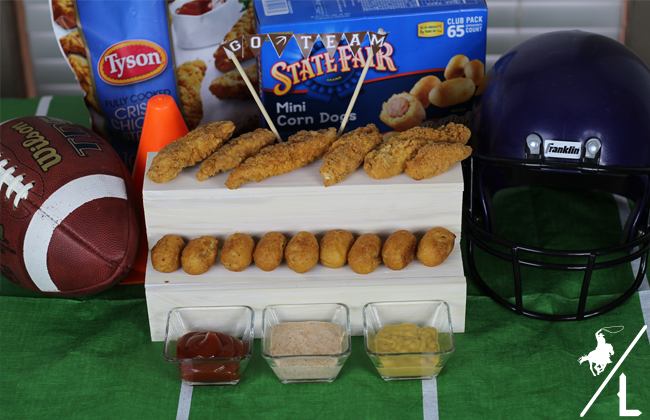 Hungry guests can grab a Tyson® Crispy Chicken Strips (3.5 lbs) or State Fair® Mini Corn Dogs (65 cnt) and dip it in their favorite sauce without missing any of the action! 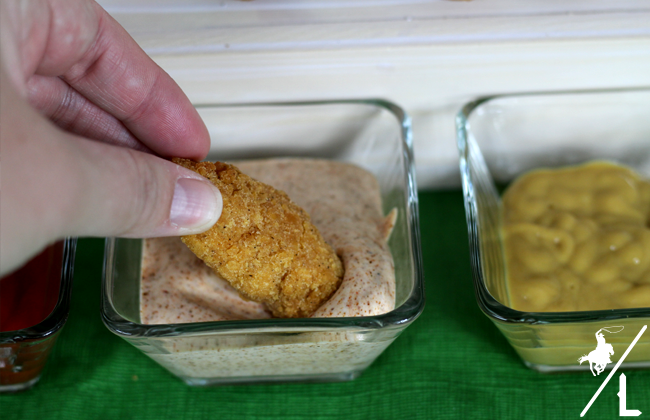 To go along with the Tyson® Crispy Chicken Strips and State Fair® Mini Corn Dogs I made this Spicy Ranch Dip to give the appetizers a little extra kick. No need to spend the entire football game in the kitchen trying to keep plenty of food on the table for guests to enjoy. 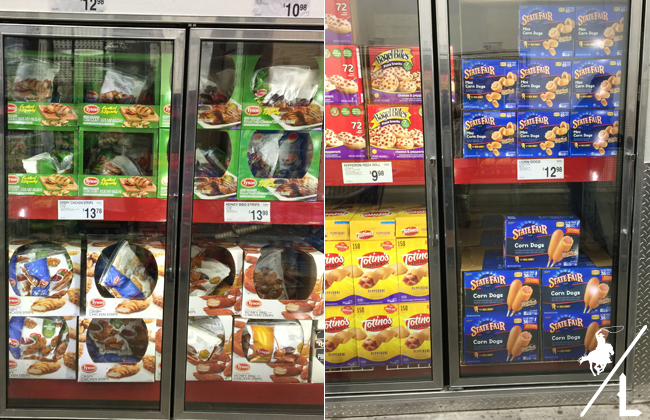 Head over to your local Sam’s Club to purchase your food for the big game, where all you have to do is cook for a few minutes and then you are able to enjoy the game and guests! Make sure to check out this Ibotta offer – Save $5 off any 2 Tyson® Boneless Wings, Tyson® Chicken Strips, State Fair® Mini Corn Dogs, Gallo® Salame/Galileo® Salame. 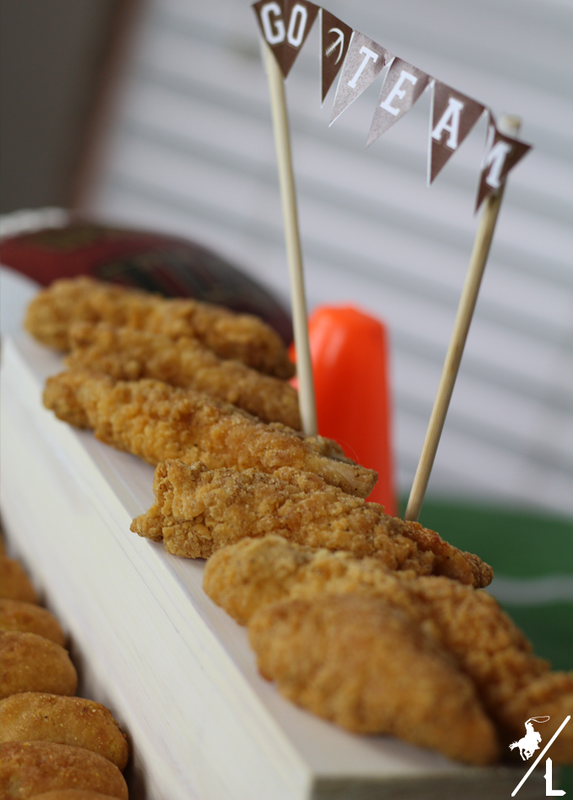 What do you make for your football parties? Love it! Would also be a great idea for my sons end of season football party.